Enough of these fancy wooden palaces which claim to offer a rustic lifestyle! Escaping to a log cabin isn't about luxurious woodland living, it is about getting back to a simpler, more natural way of life. The simplicity of fishing for your dinner, cooking outdoors, relaxing on the front porch: This is what we want out of a log cabin - a chance to reconnect with the awesome peace of nature. 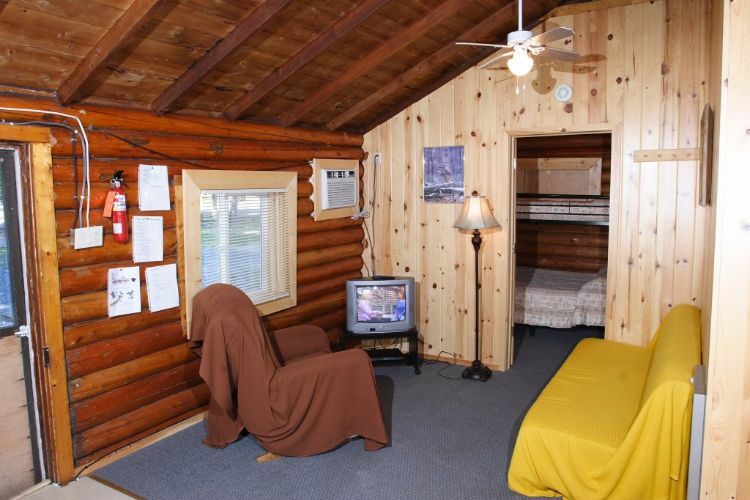 This vacation cabin at Cedar Point Lodge is located in Northwestern Ontario, Canada, and offers an ideal gateway to an area with abundant hunting and fishing options. 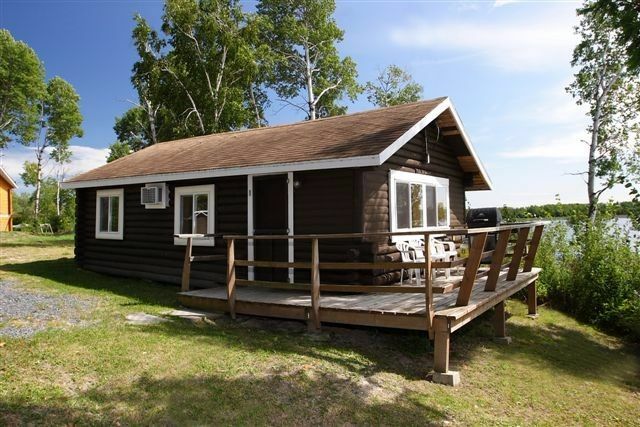 The cabin sits on the banks of Eagle Lake and can house seven adults, making it ideal for a spot of fishing. 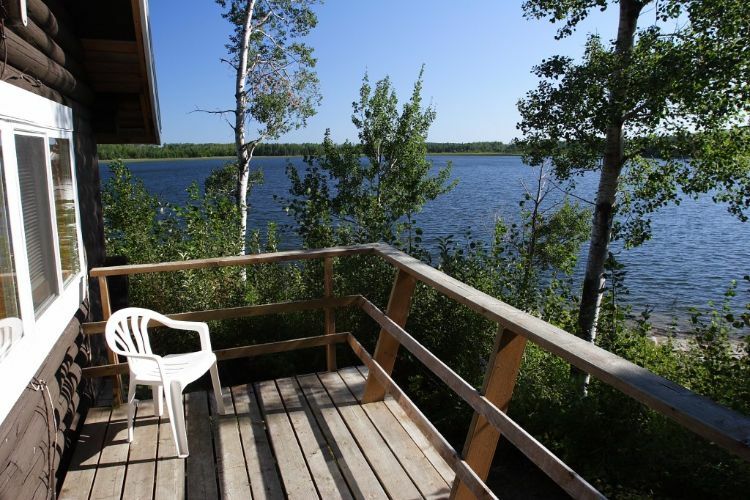 The spacious deck area boasts gorgeous views over Eagle Lake. What an idyllic place to barbecue the catch of the day. 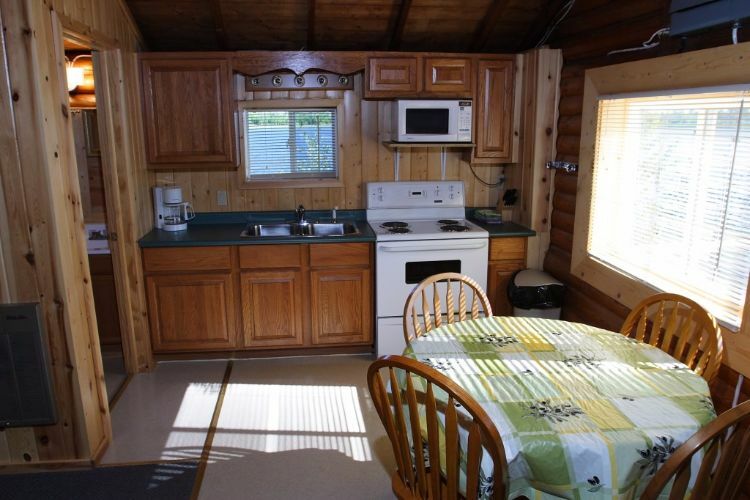 This ample-sized cabin is well-proportioned to give the kitchen enough space to breathe. It's probably the most important room in the cabin, and can easily accommodate all the members of your party as you prepare dinner. 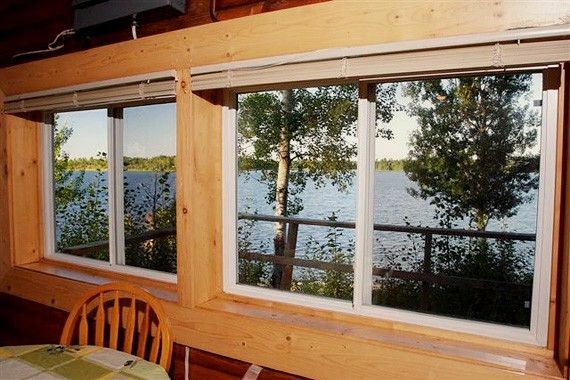 The kitchen has spectacular windows which serve jaw-dropping views of the lake. Awesome! 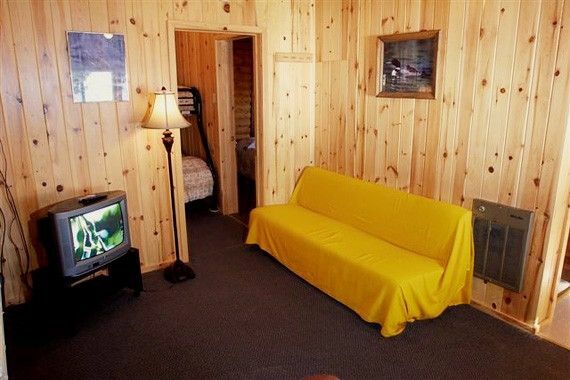 The cabin has a simple sitting space for when the colder weather sets in. The sofa folds out into a bed giving everyone enough room to sleep. 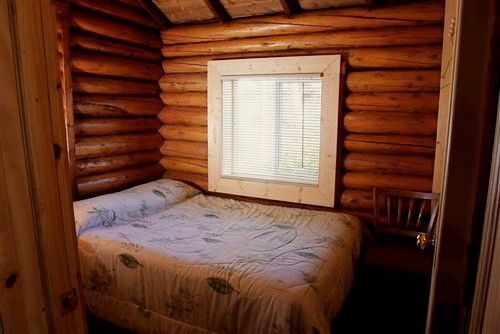 Although the interior of the cabin is quite small, you have to remember why you are here - to be outdoors. Inside is often just a place to sleep. The main bedroom is a cozy space with a queen-sized bed. 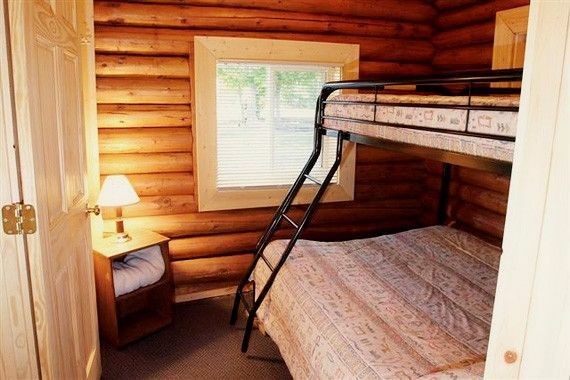 The second bedroom has bunk beds, giving the cabin a total sleeping capacity of seven adults. The bathroom looks bright and clean with the brilliant white fixtures. 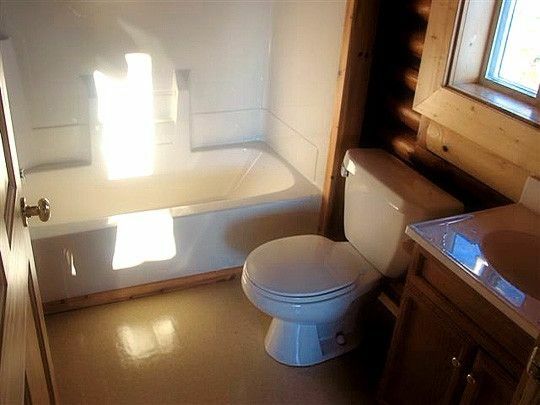 It is a clean space, which is what we want out of a washroom. This no-nonsense cabin gives you the chance to truly submerge yourself in the outdoors lifestyle. Personally, I love it. Count me in! Is this your kind of back-to-basics retreat? Comment on Facebook. Don't forget to LIKE and SHARE!